“America’s Got Talent” has set a new host and members of its judging panel going into Season 14, Variety has learned. Terry Crews will take over as host of the NBC competition show from Tyra Banks. In addition, Gabrielle Union and Julianne Hough will serve as judges on the upcoming season, joining returning judges Simon Cowell and Howie Mandel. Mel B. and Heidi Klum will not return as judges. Gotta say – this is likely a major step up for Julianne, as AGT has been a summertime ratings stalwart for YEARS. For those clamoring for her return to DWTS, however, I think this unfortunately means she’s done with DWTS for the foreseeable future – NBC is infamous for being stingy with their talent. Which is disappointing for me, as I adore Terry Crews and would love to see him on DWTS at some point. However, Mama Spence has been casually watching the AGT: The Champions mid-season series recently (which Terry has been hosting), and says that Terry is “the perfect host” – and this is coming from someone who loved Nick Cannon as the host of AGT. I rather expected Mel B not to return to AGT, given that she’s had some person struggles in recent years, but I’m a tad surprised that Heidi didn’t come back…or perhaps wasn’t asked back. All in all, an interesting development. Drag artist Courtney Act is set to appear on Australia’s Dancing with the Stars with a male partner. Act, whose real name is Shane Jenek, was the final contestant to be announced in the 11-strong line-up for the celebrity-studded dance competition. The drag queen, who made her name name on RuPaul’s Drag Race, revealed the news on Twitter and jokingly referred to her costume mishap while entering Celebrity Big Brother in January 2018, which she went on to win. Sources tell us that Joey Lawrence is “definitely” doing it. And he has not been on any of the spoiler lists thus far. Joining Joey in the Celebrity Big Brother house will be a lot of personalities who have previously done Dancing With the Stars on ABC. 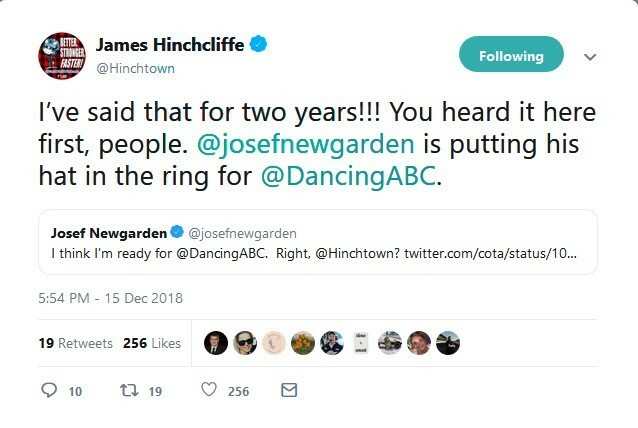 Hinch has said in multiple interviews since his time on DWTS that he’d “love to see Josef Newgarden do DWTS” – I believe he even mentioned it in a Facebook live with Sharna once, and Sharna was onboard with the idea. Josef’s a fellow Indycar driver (a pretty successful one, too – he won the 2017 Indycar Series Championship), and is considered a sort of Indycar heartthrob – several of the drivers like to joke that he should be a Disney prince or in a boyband. He’s also a goofy guy and doesn’t seem to worry too much about “being cool”, so he’s uninhibited enough to give DWTS a shot, I think. Now while Josef might be kidding (or semi-kidding), I think Hinch is serious – and I think that Josef would actually be a wise casting move on ABC’s part. Charming, attractive, boyish young guy that doesn’t take himself too seriously and isn’t afraid to let loose and give himself over to the experience? That’s practically catnip to DWTS viewers these days (hello, Milo). And given that ABC has time to pin down the next cast (and reeeeallllly needs to focus on getting a quality cast to redeem themselves from the fiasco of season 27), I think they ought to look into Josef – Hinch ended up being wildly popular despite being a relative unknown headed into his season, and Josef is at least semi-well-known. Report On Old Pros Returning For Possible Last Dancing With The Stars Season, Who Would You Like To See Come Back? US Magazine has an article up on the Fall Season of Dancing With The Stars. 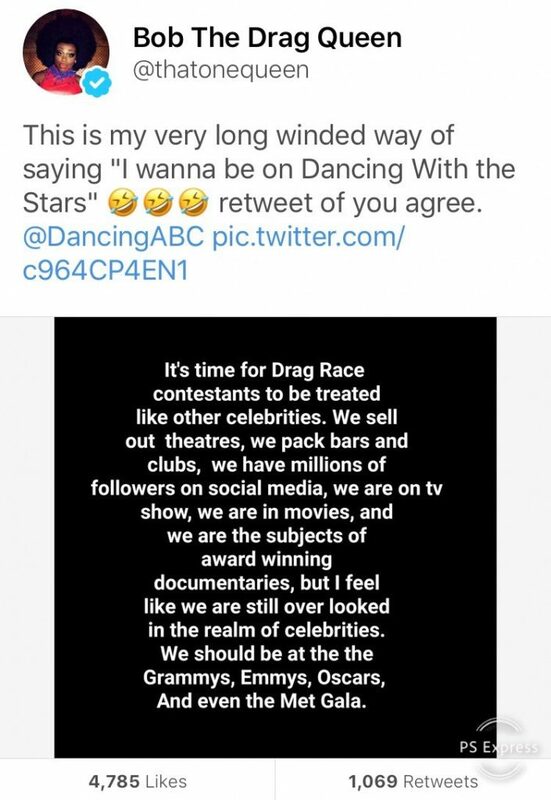 Supposedly, they talked to a “source” who mentions this could be the “last” season of Dancing With The Stars and if it is, they want to make it the greatest by bringing back “old pros”. This is music to my ears. I would love to see Karina Smirnoff, Cheryl Burke, Derek Hough, and Mark Ballas return. I’d also love to see the return of Maks Chmerkovksiy, Peta Murgatroyd, and Edyta Śliwińska. How about you? Be sure to read more at US Magazine. The ratings have not been what the network had hoped for, despite changing things up with an all-athletes season last spring and Dancing With the Stars: Juniors, which wrapped this month. The source also added that there are talks of season 28, set to air in the fall, being the last. If that happens, the network is hoping to bring back multiple original pros, including Karina Smirnoff, Cheryl Burke, Derek Hough, Mark Ballas and many more. “They want to have a great last season if there is just one season left,” the source noted. It looks like Dancing With The Stars is taking a break from the spring season on ABC. The network released it’s full schedule for the upcoming 2019 spring season and the reality competition show was missing. Instead, the second season of the new American Idol will take over the expected start date on March 3rd @ 8PM.